AndrewAndrew may be known for their wild nightlife shenanigans, but this dynamic duo does more than just DJ. Besides casting quite a presence at some of NYC's best parties, the pair also podcasts and reviews Broadway plays (in addition to whichever project and/or collaboration they have going on at any given moment). 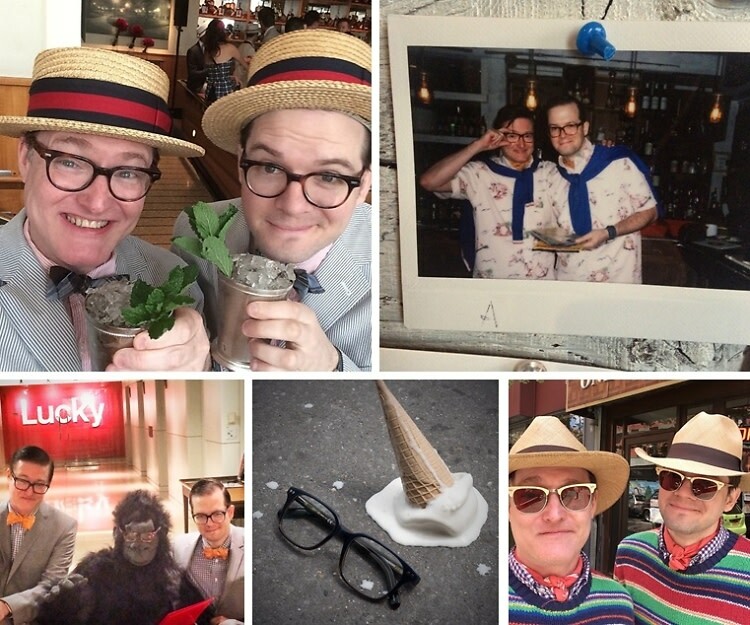 Since we can always catch them sharing selfies on Instagram or spouting out some thought-provoking points on Twitter, we challenged AndrewAndrew to the ABC #SelfieSocialCleanse. Surprisingly, they took it all in stride. Click through to read all about their experience going dark and don't miss the premiere of Selfie on ABC on September 30th.